HMH Books for Young Readers, 9781328543950, 16pp. 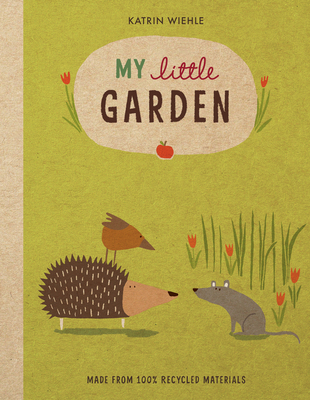 Journey through the garden in this environmentally-friendly board book made from 100% recycled materials. Hedgehog, Mouse and Sparrow live in the garden and introduce readers to their home: showing the vegetable plots, the fruit trees, and the many other creatures who share their world. Elegantly designed with spare text, these gentle earth tone illustrations complement the sustainable format. This eco-friendly book encourages little readers to enjoy nature—inside and out! part of the illustration group Paper Ghost Press. She lives in Atlanta, GA with her husband Mike, two cats, and two awesome kids.